Tomb Raider has changed a lot over the years and through the eight main games that make up the franchise we’ve seen Lara change from a straight-up Indy-a-like to a character with deep motivations and parenting issues. 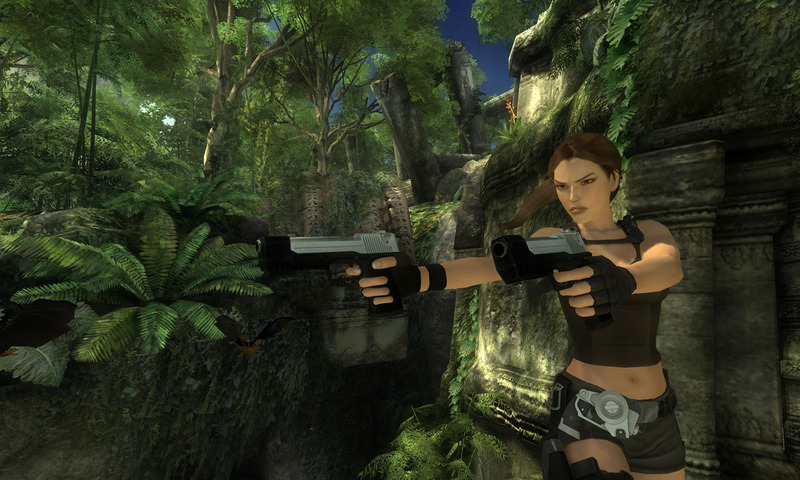 The new Lara, as seen in Underworld is a driven and single-minded young heiress who is always on the fringes of society. Think Paris Hilton crossed with Han Solo, but who is desperate to rescue her mother from the mystical realm of Avalon. Still, despite the changes there have always been some constants in Lara’s world. 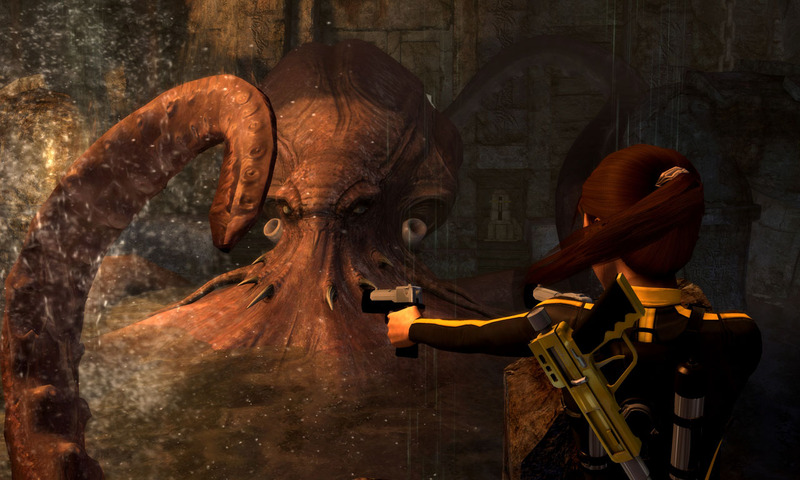 Croft Manor has nearly always been a centrepiece to the main games and has been a great tutorial area and the underwater sections of the game have always been painful, frustrating experiences. Damn you, Lara – pull that lever before you drown! If these elements could be considered a defining part of the Tomb Raider universe, then Underworld is taking the series in a radically new direction – though thankfully not in the awful way that Angel of Darkness tried to do. The game starts with quite a literal bang, glass and mortar sent spraying as a wave of fire and concussive force destroys Croft Manor. Lara herself is outside and seems to have pressed the detonator, but when the view is moved inside, Lara is as bewildered and confused as we are. The house is burning and she is trapped inside. The burning remnants of Lara’s mansion make an excellent introduction to the game, serving at once to grab your attention like a pincer grip to the nether regions, while providing an exciting obstacle course for players to familiarise themselves with. At the same time though, fire is the only real enemy here and that ensures there aren’t any one-hit kills for the first portion of the game. Lara’s too smart for that and that’s obvious from the way she shield her face from the blaze, intelligent animation blending dozens of motion captures together seamlessly to provide a life-like effect. Things reach their crescendo though when Lara struggles out of the basement and into the main hall. The ceiling is sagging, the chandeliers are shattering and the antique rugs are crisping and between Lara and the door stand faithful butler Winston and communications manager Zip. Zip has a gun and seems pissed, snapping back at Winston’s pleas that, yes, he knows it’s Lara. He fires anyway, the bullet speeding toward Lara at almost point blank range, and the screen fades to white. We’re lost and confused – is this really the opening to the game. As the screen turns to black and some fuzzy white blurs distil into clear white text, it certainly seems so. “A few weeks earlier...” reads the text, then the next thing we know we’re standing on a small yacht in the south pacific, ready to dive into the ocean and investigate a hidden ruin that was first discovered by Lara’s father. It’s here that Tomb Raider: Underworld begins, with a complete disregard for everything that has ever been remotely constant in Tomb Raider – you’re about to do a huge underwater mission and you’ve just witnessed the destruction of Croft Manor. Eidos has announced that in response to falling stock prices it will be redesigning the Lara Croft character to make her more appealing.